Mortgage lenders don't like taking risks. The larger the down payment you come up with, the lower their risk. The theory goes like this: If you've already invested a large sum of money in your home, you'll be less likely to stop making payments if you suffer a financial crisis. You'll have, as lenders say, "more skin in the game." A larger down payment, though -- even one as large as 25 percent of a home's purchase price -- will only help you qualify for a mortgage loan. It won't guarantee you an approval. Mortgage lenders typically require down payments when you apply for a mortgage loan. How much of a down payment lenders require varies. Some require just 5 percent of a home's purchase price. Others might require 20 percent. This range makes a difference: A 5 percent down payment on a $200,000 home comes out to $10,000. A down payment of 20 percent equals $40,000. If you put down a larger down payment -- say 25 percent of a home's purchase price -- you make yourself a more attractive borrower because you aren't financing as large a percentage of your home's price. This could cause a lender to overlook some other negatives, such as a low credit score or higher debts. But even with a larger down payment, you'll have to prove to lenders that you can afford your monthly mortgage payments. Lenders will look at how much of your gross monthly income your total monthly debts consume. 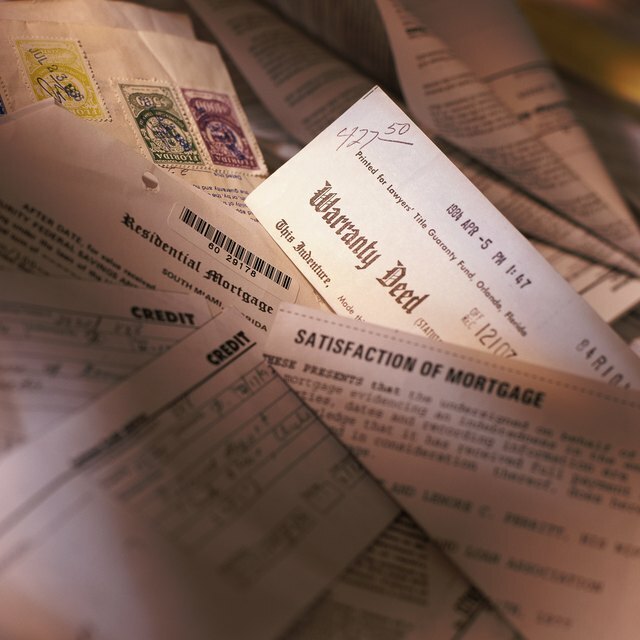 Generally, lenders want your total debts, including your estimated new mortgage payment, to equal no more than 36 percent of your gross monthly income, your income before taxes are removed. If this ratio -- known as your back-end debt-to-income ratio -- is too high, your lender will be hesitant to approve you, even if you do come up with a down payment of 25 percent. Why? Your lender will worry that you won't be able to make your monthly mortgage payments each month because you'll need to pay off too much debt every 30 to 31 days. When you apply for a mortgage loan, your lender will pull up your three-digit credit scores. These scores tell lenders how well you've managed your credit and paid your bills in the past. Most lenders as of 2013 considered scores of 740 or higher on the FICO credit-scoring scale to be top scores. If your score is much lower than that -- and this varies by lender -- you might have to pay higher interest rates. If your score is too low, your lender might reject your application. A larger down payment can help. Lenders might be willing to overlook a lower credit score -- though you might struggle to earn approval if your score is lower than 600 -- if you bring more down payment money to the closing table. For obvious reasons, lenders also want to work with borrowers who are less likely to lose their jobs. Lenders consider you a safer borrower if you've worked at the same company or in the same industry for at least two years. If you haven't, though, a larger down payment can help. Again, lenders won't be taking on as much a financial risk because, if you make a larger down payment, they won't be lending you as much money. Bank of America: How Much Should I Put Down?